“Athletes Aboard” manages to fit an impressive amount of Team USA fervor into a single minute. 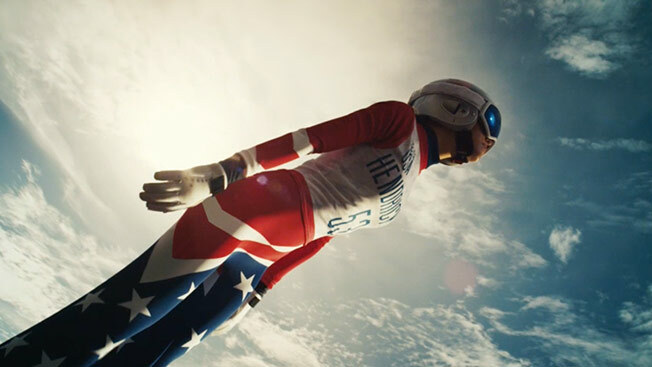 Since Olympians aren’t nearly as much fun when they're not actually competing, the various skaters, bobsledders, skiers and lugers featured in the ad arrive for their flight already suited up for the games in copious amounts of red, white and blue. (No word on how those razor-sharp skates were able to make it past the TSA officers.) For the soundtrack, we get the patriotic favorite "Rhapsody in Blue" because what’s more American than Gershwin? (Oh right, "America.") And to narrate the spot, United hired the universally beloved Matt Damon. “The spot playfully celebrates United's unique familiarity with the needs of Team USA, and it evokes huge pride to see both athletes and employees—all real—who, each in their own way, 'carry the hopes of a nation,’” said mcgarrybowen ecd Haydn Morris. In addition to the TV spot—“Athletes Aboard” will make its prime-time debut during the Opening Ceremony on Friday evening, and two more spots are planned to follow—United has also invested in a heavy social media and native ad push. The company will be asking viewers to use the hashtags #AthletesAboard and #TeamUSAfriendly in their Olympic tweets, and will also be sponsoring interactive content on The New York Times' website, videos on Yahoo Screen and BuzzFeed posts.